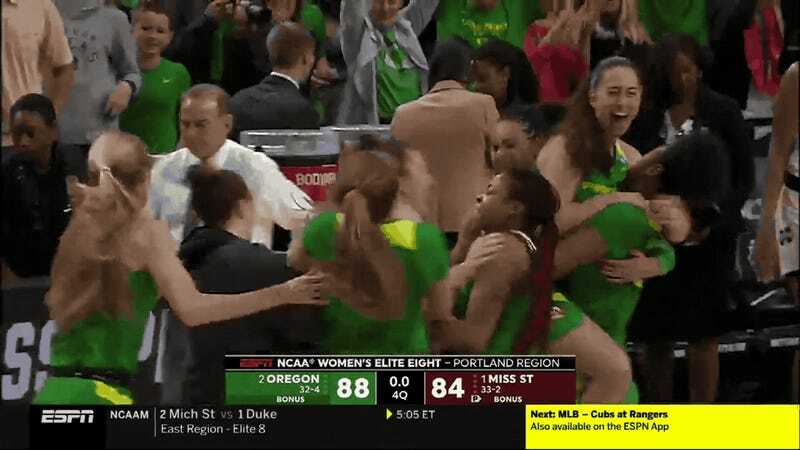 After two straight years of coming up short in the Elite Eight, triple-double queen Sabrina Ionescu and her Oregon Ducks finally beat a one seed in the NCAA Tournament, and with their 88-84 win over Mississippi State, they book a trip to the first Final Four in program history. The back-and-forth game was a duel between two dominant, contrasting superstars. For the Bulldogs, SEC Player of the Year Teaira McCowan owned the inside, scoring 19 points and bringing down 15 rebounds. But Ionescu outdid her on the outside, nailing her final five shots in the fourth quarter to cap off a 31-point, 7-rebound, 8-assist performance. When it mattered most in the last five minutes, it felt like she could do no wrong. The loss means that this MSU squad won’t make it to their third straight National Championship Game, which is undeniably a brutal blow to a senior who’s been as great as McCowan. 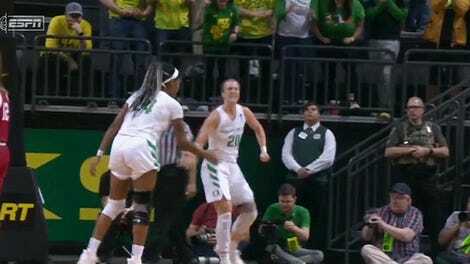 But if anyone deserves at least one shot on the biggest stage, it’s Sabrina Ionescu, whose Ducks will face either Baylor or Iowa in the next round.